My first con appearance is more than a month away, but this weekend I got a little preview of what’s in store. 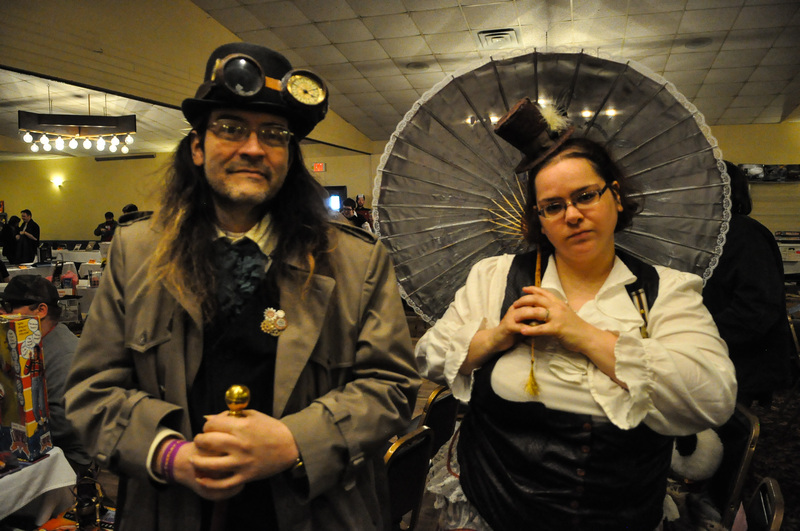 Ego Con, a mix of sci-fi, fantasy and a little bit of everything else, made its annual appearance at the Elizabeth Inn in Plover. More than any other convention, Ego Con really is a mix of everything you can think of, from the usual fair of Star Trek/Star Wars/Doctor Who merchandise to things like a fencing demonstration and tarot reading. 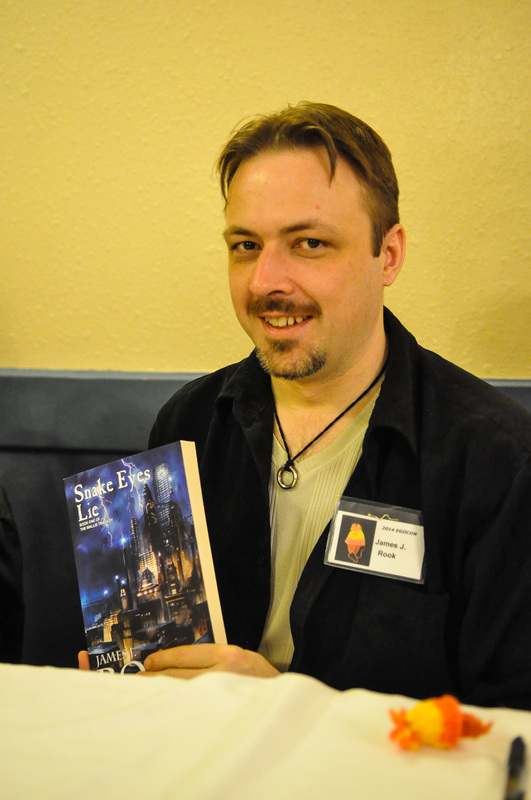 My preview came in the form of James J. Rook, author of the book Snake Eyes Lie. I approached Rook to write a story for the Stevens Point Journal, and it turned out Rook was attending his first convention. He was nervous, he told me; and as an introvert I could appreciate his position. As he said, introverts tend to write books because it doesn’t require talking to people. I guess the joke’s on us: Once we write the book we have to talk to people to get them to read it! It seemed to turn out well for Rook — he sold many books and found a few people who had already Snake Eyes Lie and gave him some positive feedback. It’s gotta be a good feeling. Rook had a nice display of books, as well as bookmarks people could take with his website attached. Seeing his display gave me ideas about how to approach my own con experience. 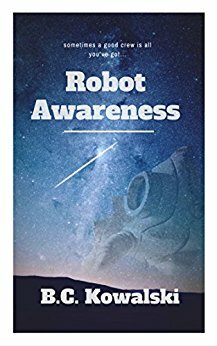 It was also nice to connect with another Stevens Point-based sci-fi author. That networking is important — it’s how I got my first con invite in Minneapolis, and how I’ve gotten a lot of advice and inspiration so far. I look forward to expanding that network in May.